First the good news. With a mini win streak going against the Royals — read: two games — the Mariners have ascended to merely second worst in the American League. The M’s also aren’t dead last in the Major Leagues in batting average (29th) or slugging percentage (28th). The bad news, they are still a dreadful team that IS dead last in on-base percentage. Our best everyday hitter is batting .259 and our star of the future Justin Smoak is a mere point above the Mendoza line. 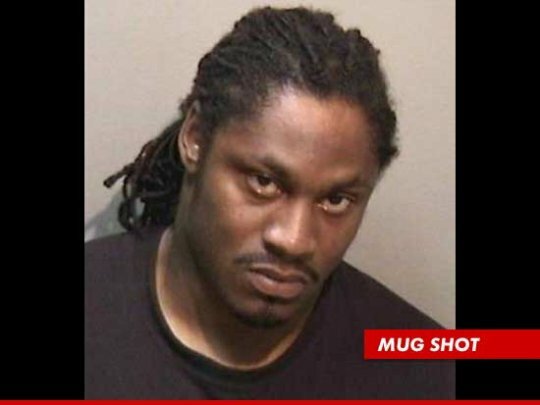 Oh, and Seahags running back Marshawn Lynch was just arrested for driving under the influence, after nearly plowing his Ford Econoline van into two other cars in Oakland. He’s scheduled for trial August 14, just days after the Hawks’ first preseason game. Not a good thing for Seattle football fans and definitely not a good thing for Lynch. Way to come up small Beast Mode. 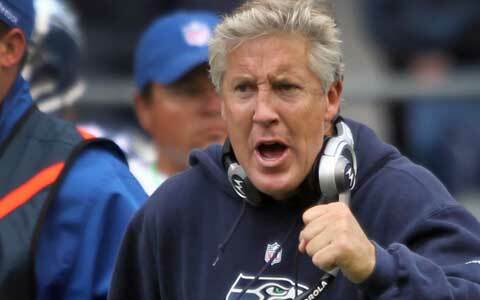 The Seattle Seahawks were dinged by the NFL yesterday after overpracticing. Yeah, overpracticing. Only the Seahawks could excessively practice and still inspire so little fear in their foes. The NFL said Coach Pete Carroll allowed too much contact in recent practices, a violation of collective bargaining rules. But Carroll had a reasonable explanation: “It wasn’t, you know, play after play after play. It was a few plays that stood out where guys made mistakes trying too hard and competing too much.” That’s the first time I’ve heard the boys in blue and neon green accused of overcompeting. The Hawks will pay the price, with the league yanking two practices from them this week as punishment. Will the players rest too hard too? Now that’s how you come up small. 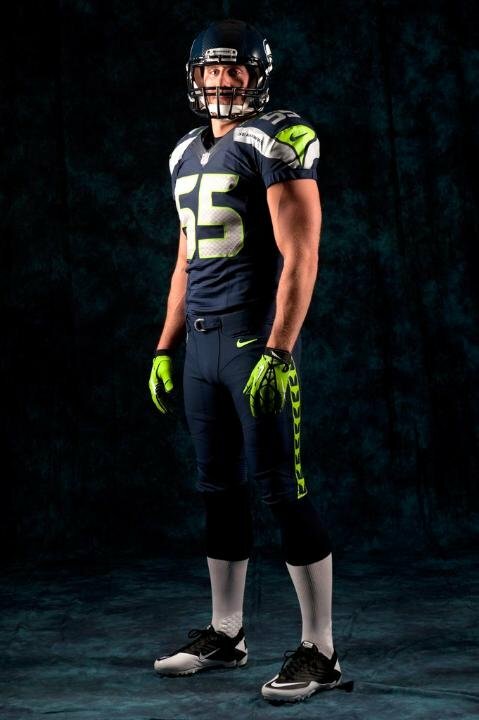 The Seattle Seahawks unveiled new uniforms today and whoo boy are they ugly. Fans can at least take heart that a national audience won’t see these stinkers in this season’s playoffs, Matt Flynn notwithstanding. This latest iteration gets the Hawks even further away from their fine-looking royal blue and kelly green uniforms of the ’70s and ’80s. There was nothing broken about those jerseys and they didn’t need any fixing, particularly the silver helmets with the stately seahawk. Pacific Northwesterners can thank Nike for today’s “gift” after the athletic shoe giant oversaw their redesign as part of taking on the NFL apparel contract. Cue the fretting that the Seahawks are Nike’s NFL version of the Oregon Ducks. Particularly disappointing is the fascination with neon green, which now is splashed over the shoulders, gloves, pant legs and around the numbers. No one asked for more neon green and no one wants it. Is there no institutional memory of the Squawks’ ill-fated green jerseys of a couple seasons ago? The Seahawks already inspire little fear in opponents, but now they just look silly doing it. Thank you, Phil Knight. Thank you, Seahawks, you really are coming up small.